Described as ‘ultra-thin,’ the Cubot R9 is a phone you might want to check out when in the market for a good looking device with decent specs. Cubot R9 sports a 5-inch IPS display, a quad-core processor and, somehow, manages to squeeze in a fingerprint scanner. At this price, you cannot complain about the looks of the Cubot R9. It has a relatively slim body. At 7.85 mm, you may be a bit surprised that its maker deems it ‘ultra-thin.’ It actually ranks among the slimmer devices from the company. You can get it in gold, black and starry blue colours. Cubot R9 features a 5-inch display with a resolution of 1,280 x 720 pixels. A pixel density of 294 ppi promises sharp, colourful images. You can expect decent wide-angle viewing from the IPS panel. The primary camera is a 13MP unit with 4P lens and f/2.4 aperture. This has bright LED flash and autofocus for respectable shots. The 5MP snapper on the front also offers soft LED flash for good quality selfies. Internal storage of 16GB capacity isn’t too poor for keeping your photos and music. If you will be having large files, such as movies, you can add a microSD card with a capacity of up to 32GB to your Cubot R9 smartphone. With a quad-core MediaTek MT6580 chip under the hood, the Cubot R9 doesn’t look like one to blow you away. But it should do better than some of its rivals, with 2 GB of RAM available. An ARM Mali-400 MP GPU covers the gaming front. The Cubot R9 boots Android 7.0 Nougat operating system, which is just about what you can realistically expect. Juice comes from a 2,600mAh Polymer battery – you will be able to replace this when the need arises. There is no 4G LTE on the dual-SIM device, but you cannot really complain about that. Connectivity features include High Speed MicroUSB, Bluetooth 4.0 and Wi-Fi 802.11 b/g/n with Wi-Fi Direct. Perhaps, the most impressive is that the Cubot R9 comes with a fingerprint scanner that unlocks in just 0.1s, according to its maker. 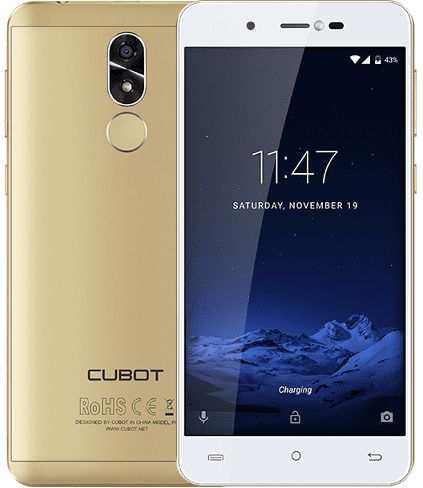 Cubot R9 is not officially available in Nigeria and Kenya, but you can buy the smartphone from International third party sellers at Jumia for both countries. Price starts at $87.99 at Gearbest. When available, you can buy the smartphone at leading online stores in your country. Cubot R9 Price in Nigeria is expected to range from 23,500 Naira to 35,000 Naira depending on your location in Nigeria.